Sometimes I get to work on projects that speak right to my soul. This one right here? This is one of those projects. 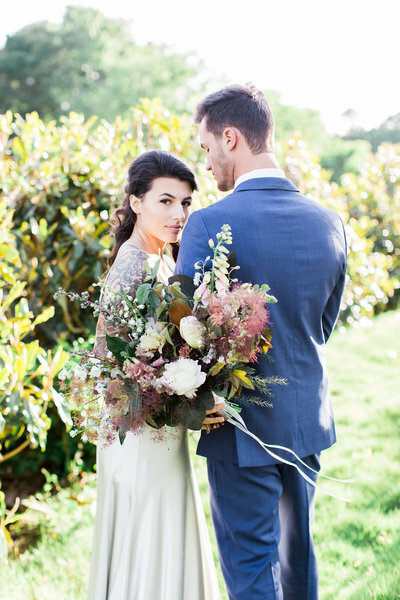 Romantic and moody wedding inspiration smackdab in the middle of a Magnolia Farm in Raleigh, North Carolina is what my dreams are made of. 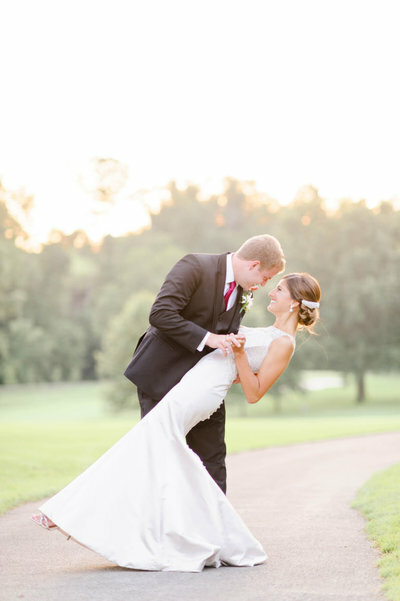 It doesn’t hurt that this goodness was featured on Grey Likes Weddings, either. 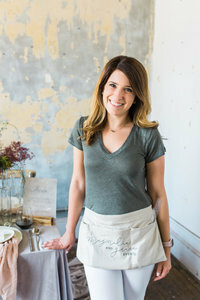 I get asked a lot of questions about the name Magnolia and Grace and how I came up with it… although if you saw me frolicking through Weston Farms Magnolia trees, it would all make perfect sense 😉 The real reason? If you’ve ever heard me talk about how I approach my designs, you’ll know that balance is always at the forefront of my mind. Love is all about balance and I believe Magnolia trees are the perfect example of that in nature. They are balanced in beauty and power, strength and softness, wild and simple. I love the more masculine feeling of an enormous tree balanced with the feminine beauty of blooming buds. The word grace on the other hand is defined as “simple elegance or refinement of movement”. 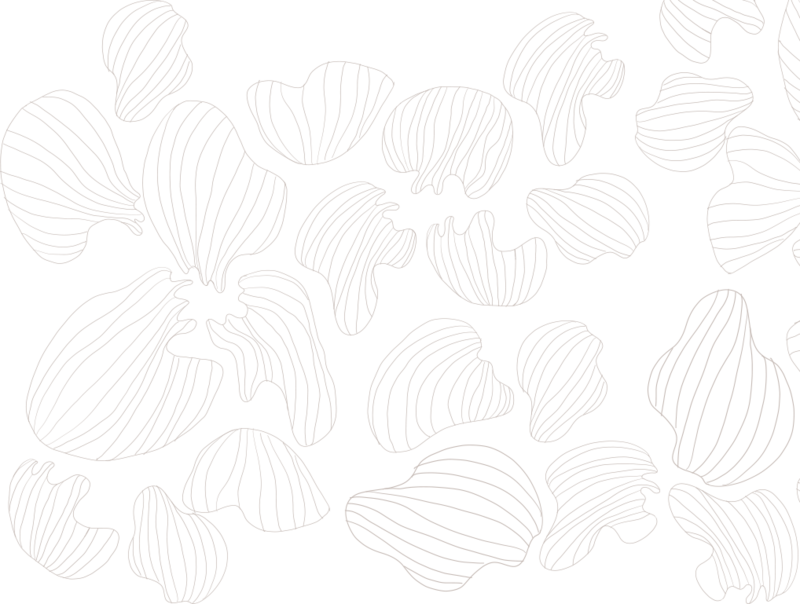 I’m a big believer that less is more and that each detail should have meaning and significance. When I was dreaming up the inspiration behind this romantic and moody beauty, I imagined a deeply rooted love story – much like a Magnolia tree. Something unwavering and unshakeable, while at the same time as delicate as a plucked Magnolia bloom. I hope you love it as much as I do! We started with a deep and inviting color palette of deep burgundies, purples, and greens, offset with softer shades of blush, cream, and grey. This helped develop the more moody, romantic aesthetic I was hoping to achieve. 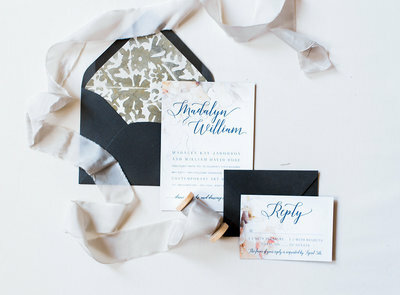 The invitation suite was more modern and whimsical, using a beautiful watercolor floral design that was soft and subtle. The bridal gown from Gilded Bridal was simplistic but stunning. Understated and minimalistic, it allows your eyes to focus on her natural beauty and offers this sense of strength in femininity. 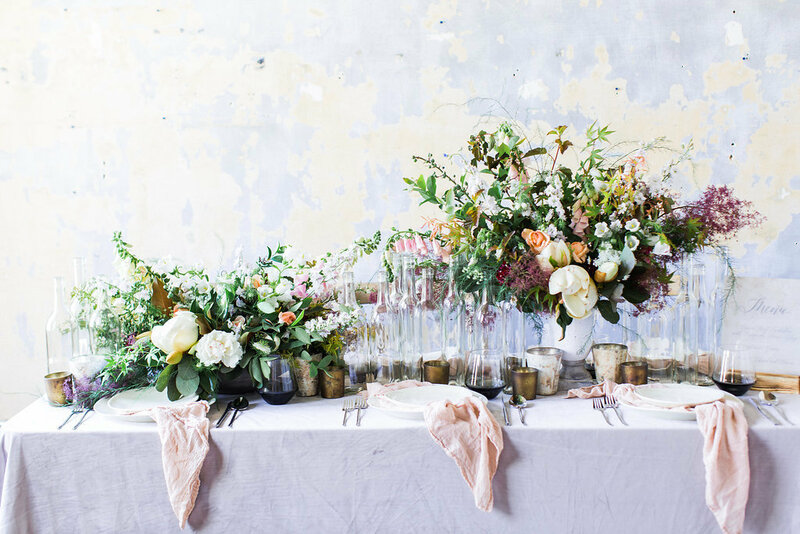 The flowing linen and overgrown floral centerpieces were offset by the sleek lines of the modern silverware and the minimalistic nature of the place settings. The cross-back chairs brought in a touch of Southern charm, while the glass bottles provided an industrial vibe. 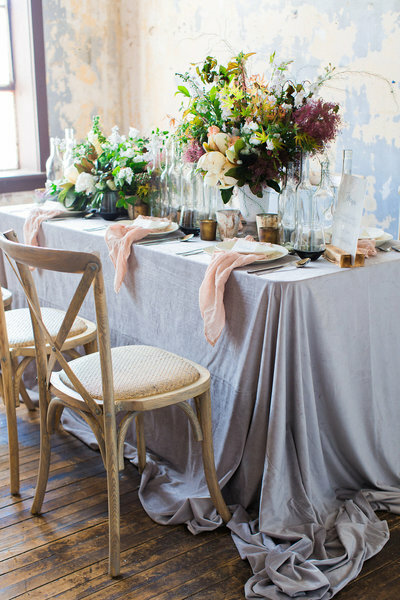 It’s such a joy to incorporate so many seemingly different aspects into one design and seeing how they come together in perfect harmony to create a stunning tablescape.